As Mumbai Metro, better known as MM1 or Mumbai Metro One, celebrates its second anniversary we take a look at how it has touched the life of the Mumbaikars. Impact of Mumbai metro (with its small route of less than 12 km end to end) can be clearly seen in the commuting patterns of Mumbai city. 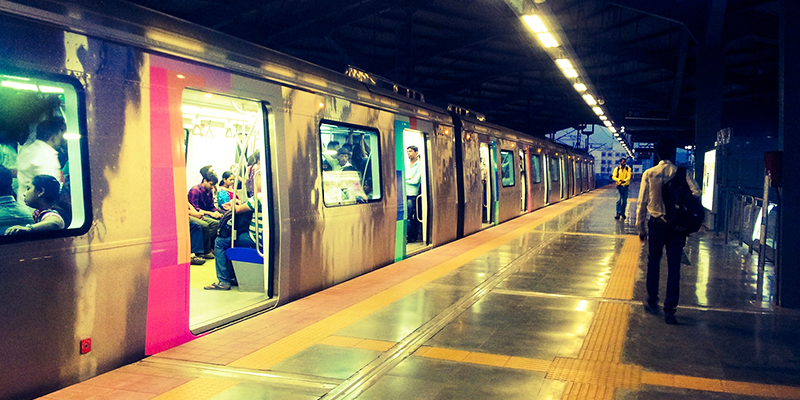 Mumbai metro route across Ghatkopar, Andheri and Versova is used by thousands for everyday workplace commuting. 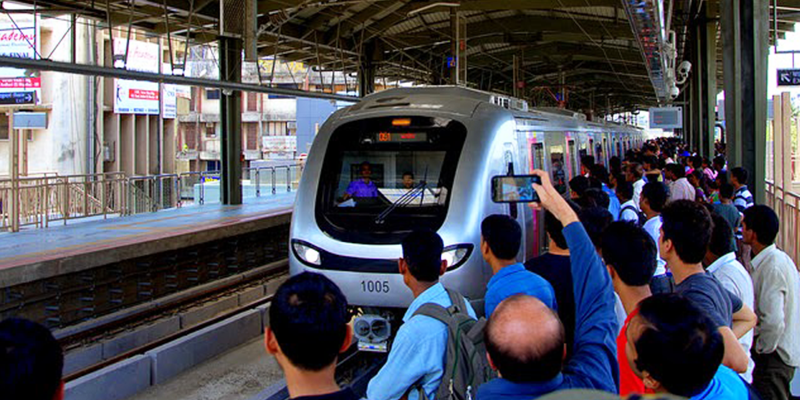 Mumbai’s traffic is well known across India; the Metro has aided the Mumbaikars in avoiding the clogged traffic and helped reach their workplaces and homes on time. The commuters who were even 2 years back forced to use the 24×7 clogged roads can now relax and take the quick Metro route. In the past, there have been stories of people rejecting jobs in the Ghatkopar, Andheri and Versova stretches for the pain of travelling on road there, all that has changed for good. It is helping the businesses, in these stretches, grow. Finally, people can leave their homes without worrying about long traffic queues. Though, Mumbai Metro isn’t very lavish in its station buildings, but they deliver on the promise on being very functional for the commuters. The Central Line through Ghatkopar Station has become the new Dadar, for the amount of transit commuters. This route has made the arduous task of catching a local train in the evening hours much easier. Commuters now catch their ride back home from Ghatkopar rather than Dadar in the evenings. When you think about Mumbai locals, there is a horrendous picture that crops up in the mind. As soon as a train stops at a station, hundreds wrestle to get into the coach without giving other passengers a chance to alight. MM1 has instilled discipline, which was unheard of in Mumbai. People actually stand in queue, and wait for commuters to alight before boarding. It is such a successful model of mass transit system that it makes you wonder why such systems didn’t reach Mumbai earlier. Skywalks were a welcome addition to connect the stations with their vicinity. But, at some places these skywalks have increased the pain for commuters rather than solving. Just as an example, the skywalk that connects to the Andheri railway station increases commutation time to the railway station. So, a rethink on the skywalks accessibility could make commutation bit easy for passengers. 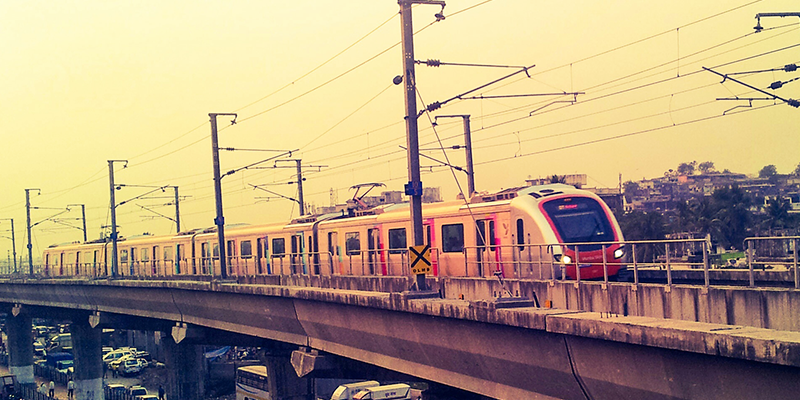 Mumbai Metro expansion is necessary to make the Business Capital of India easy to commute. But the Town Planning authorities and successive State Government have excessively relied on Mumbai Local trains and BEST, and believe these modes can handle the rise in commuters in coming years too. But what they fail to realize is that: “BEST is reeling under loses due to poor policies of pricing and Indian Railways has been already saturated,” commented Vikas (regular commuter in Mumbai Metro). But, a ray of light was ushered with the appointment of DMRC consultants for MM1 expansion plans. It can be held that bringing the DMRC consultants on board will help expedite the next phases of metro. “We need more metro sections to cover Mumbai and also extend into Mumbai Metropolitan Region. Flyovers and Freeways are needed but it doesn’t serve the common commuters who travel on trains. To make people switch to other modes of transport, you need to make it look more lucrative, time saving and economical. Mumbai is a city where time is money and people don’t battle an eyelid if some amount of extra money spent on a Metro line saves them precious commuting time and gives them more time with family,” says Anil Srivastava (another regular commuter in Mumbai Metro). Previous articleA date with roars and growls this Environment Day! I Satyanand Gaitonde who is fighting for better traffic Management of Mumbai for so long. Tried all aspects. To an extent I emailed all concern ministers including Diwakar Raote who is Transport Minister. I even sent him message on his portal as well as emailed him. Result nothing. Now I am starting my own you tube channel in which I will discuss Mumbai traffic issues on reputed TV channels and will send it to more and more people so they know how useless our government is who do not willing to listen to common man and not keen in doing anything for Mumbai City. Forget about listening to begin with they don’t even get back to you. It compel us to think that you need to be a big shot in India or they are not keen in listening to you. All emails and portals they have made are nothing but to fool people. Mumbai city is sinking every day but it doesn’t matter to them. The day one government official or any minister will reply to me that day I will salute that guy but it is not going to happen. We know since 1947 how our city has been neglected by central government. What we are facing is result of those 70 years of negligence. This has to stop at some point of time. Government come and go my city stay where it is.